The Contestant agrees to provide complete and correct information with respect to his/her identity, contact details, location, age, and such other information as may be required. 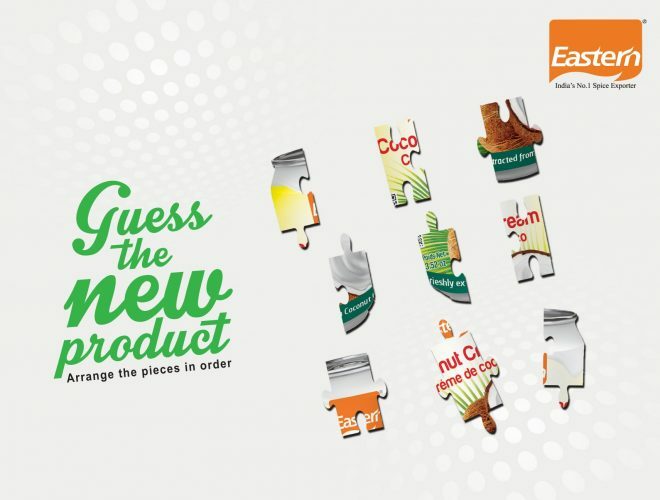 Winners will be required to send in their contact details to to the social media accounts of eastern. The Prize shall not be transferable/redeemable. No request shall be entertained in this behalf. Eastern reserves the right to change/modify terms and conditions and/or criteria of the Contest at any time at its own discretion and without any prior notice and without assigning any reason. Posting of any spam, foul, indecent, threatening, business promotion, discriminatory and/or false comments would lead to disqualification of the participant from the contest, at the sole discretion of Eastern. Eastern condiments shall not be responsible for any loss, damage, theft caused to the Prize(s) after handing over the same to the winner/ his/ her assign(s). In case of any dispute or difference in respect of this Contest, the decision of Eastern Condiments shall be final. Odds of winning depend on the number of eligible entries received. Eastern Condiments Reserves full right in the selection procedure. Eligible entries are ones that satisfy the eligibility criteria outlined above and follow the steps outlined in the ‘Details of the Contest and the How to Enter’ section above.